The Hislop family is undoubtedly a super-bright one. Bestselling novelist Victoria and Private Eye editor Ian met at Oxford University, their daughter Emily graduated from the same esteemed establishment and their son William is currently studying history there. 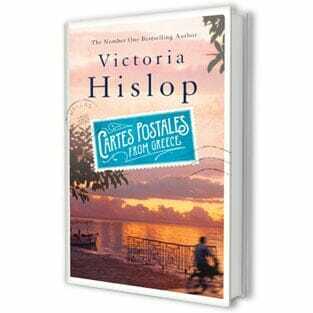 “Ian is much cleverer than I am,” insists Victoria, whose debut 2005 novel The Island has to date sold more than three million copies worldwide, been translated into 31 languages and was made into a hit 26-part Greek TV series, in which both Victoria and Ian had walk-on parts. The 55-year-old author, who has written four novels and one book of short stories, always gets her husband’s feedback before sending her manuscript to the publisher. “It takes him about two days to go through it, and at the end of the two days he gives me a tutorial. It’s not problematic. We were at the same university doing the same degree [English] at the same time,” she says. “Ian is much more intellectual than I am. At university, he used to lend people his essays so they could copy them. He should have rented them out at 50p a go because it would have paid his bar bill. “I know for a fact that people marking that paper in our finals must have wondered why we were all saying the same thing. Thankfully, he didn’t have anything drastic to say about her latest novel, The Sunrise, set in the sunshine resort of Famagusta in Cyprus in 1972, where Greek and Turkish Cypriots live in harmony. It centres on an ambitious couple who open the most glitzy hotel there – The Sunrise – only for prosperity and happiness to be scuppered by the conflict between Turkey and Greece, with devastating effects on both Greek and Turkish Cypriot communities. Victoria first visited the city on a gap year in 1978, when the war had split the north from the south of the island, only to find that Famagusta – once a thriving city and tourist haven with a myriad of beachfront hotels – was now a ghost town surrounded by barbed wire netting, fencing off the hotels, manned by Turkish armed guards. “We weren’t allowed to go anywhere near the beach, which is the main focal point of the book,” she explains. When she returned years later, nothing had changed.